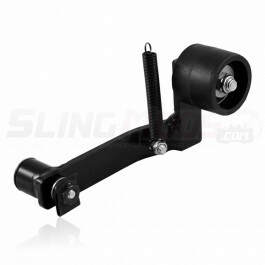 Reduce Belt Vibration on your Can-Am Spyder with one of our Belt Stabilizers, Tensioners or Idlers. 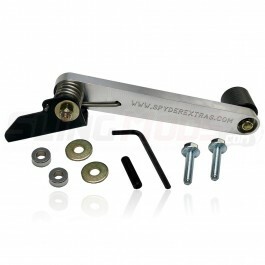 These products will reduce vibration of the Spyder drive belt by applying smooth spring loaded tension to the belt itself. 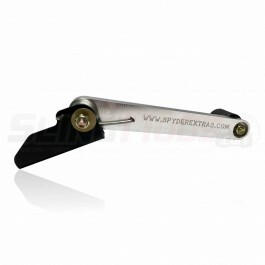 This results in a smoother ride especially when the bike drivetrain components are under load such as when riding with a passenger, climbing an incline or pulling a trailer. Since vibration is reduced you'll also see an increase in the longevity of the drivetrain components such as the rear sprocket and shaft bearings, drive pulley and the drive belt reducing long term maintenance costs.